Nicosia's former international airport, abandoned since 1974. Demotix/Yiannis Kourtoglou. All rights reserved. On the other side of the Green Line, two series of canon-fire kicked off the previous day’s celebrations for what is considered a peace operation aimed at restoring constitutional order following a military overtake of the government on 15 July 1974 by the Greek-Cypriot National Guard seeking to unite the island with Greece, itself then under military dictatorship. In commemoration of that other event, sirens in the south sound again every 15 July, at 8:20 a.m., when tanks moved out of their barracks and headed towards the presidential palace. The two events are commemorated together as a ‘twin crime’ (δίδυμο έγκλημα - dhídhimo énglima), during a week of media features on the ‘black anniversaries’ (μαύρες επέτειοι - mávres epetíi). Forty years on, the events are still contested, and more so are the semantics used to speak of them. Sirens had not of course sounded in 1974, and war was not officially announced - protocol, as in most wars, was only adhered to after the conflict entered the realm of state ceremony. Semantics, discourse, policy, and affective apparatuses are now firmly embedded in that realm. The difficulty that remains, after 40 years, is how to dislodge them. In current rhetoric, debates still rage between Greek- and Turkish- Cypriots, and within each community too, as to whether what happened in 1974 was ‘war’, ‘invasion’, ‘liberation’, ‘coup’, ‘treason’, ‘intercommunal strife’, ‘civil war’, etc. Official history in schools leaves no room on either side for self-blame: violence against Turkish-Cypriots going back to the 1950s is obstinately silenced in Greek-Cypriot schoolbooks, and critique of Turkish policy in the north during the decades that followed what was originally announced as a ‘short-term’ operation was withdrawn from Turkish-Cypriot schoolbooks, after a momentary appearance in the early 2000s. Official discourse also downplays the rift between left and right and the paramilitary violence that led to 1974, with all its complex variables of political and ethnic affiliation. The sustenance of paramilitary forces within and outside the government, whereby the security of the president was entrusted to resistance groups training against groups of affiliates of the Greek Junta supported for a time at least by the Ministry of Interior, and their operations against both the Turkey-backed Turkish Cypriot paramilitary organization and Turkish-Cypriot civilians, is considered far too complex for schoolchildren to fathom – let alone adding to this the larger Cold War politics of Russo-American interests. It is instead left to academia, itself largely politicized. Policy has thus been guided over the years by a simplified understanding of events, where politics, law, and morality coincide along a right-wrong axis. For Greek-Cypriot policy, this alignment is also ontological – the structures in the north developed under the protection of Turkey do not simply lack recognition under international law, they are approached as non-existent, or at best, fake. References to them are closely scrutinized – in the media, in public fora, in institutions – web posts, even in this forum, are typically policed through commentary that replaces substance for terminology. It is a product of the way a specific effect of loss has been cultivated in Greek-Cypriot governmentality. Ensuring the equation between semantics and ontology is today considered the task of every good citizen who is expected to behave and feel in particular ways. There are thus good and bad ways to cross the Green Line (e.g. for lament but not pleasure), good and bad ways to be a refugee (e.g. demanding the right to return but not compensation), good and bad ways to pursue justice (e.g. seeking retribution from the Turkish side but not for violence suffered in Greek hands). These feelings and behaviours are intertwined with being a Greek-Cypriot so that others (say minorities, migrants, and certainly Turkish-Cypriots) are not expected to feel and behave in the same way. And reversely, whoever does, is tainted by a suspicion of otherness. Is it surprising then that negotiations have yielded no agreement, or that the general contours of a ‘bizonal bicommunal federation’ (dating from 1979) is now being put into question? The positioning of the two sides against each other has been well rehearsed in each round of negotiations and each new beginning has necessitated a new confirmation of the framing principles within which each round is conducted. But stalling has most often ensued with what have always been non-transparent negotiations. Leaks, often signalling the approaching end of a negotiation cycle, have been impossible to contain in an environment where all parliamentary parties are necessary supporters (as members of the National Council, whose approval is necessary for each step forward) but most of them intransigently not. 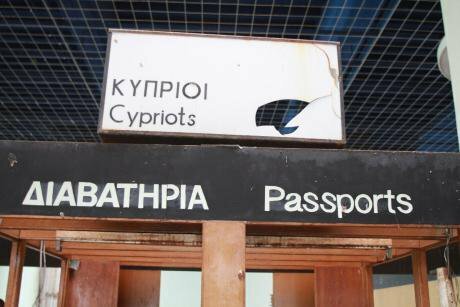 As each impasse appears, it seems that leaks appeal to that underlying affect of responsibility where good Greek-Cypriot-ness is marshalled to uphold the sovereignty of the state, even against its government. An authoritarian logic is perhaps always the underlying structure of democracy, as much of political philosophy tells us. In Cyprus, this is negotiated in a context where a default way of being is clear, simple and rigidly encapsulated in the national self. Not that dissent is non-existent. Rather, dissent is not legitimized as ‘proper’ politics to be seriously engaged with. It is certainly domesticated: much criticism of the government, political structures, and institutions accompanies (extended, often) family meals. Growing electoral abstention is problematically read as youth depoliticization (they are more interested in going to the beach, many media reports insinuated in the last European elections, just as they invited politicians to discuss the phenomenon). Critique over long- and short- term handling of the economy following last year’s crisis, is only superficially acknowledged – some of the law suits filed since then, have been presented as jeopardizing the wider public good, which state adherence to troika directives is meant to achieve. This general public good is of course another call for ‘unity’. As such, it has also framed approaches to minority rights, including gender and women’s rights, where adherence to European norms and values has been the primary driver for change since EU accession in 2004. When these rights are seen as impinging on the national issue, however, they are de-prioritized – a call to include feminist perspectives in the negotiation discussions under UN Security Council Resolution 1325 is still to be answered, and critique of militarism (especially when it is put into practice as conscientious objection) vehemently condemned. Dissent, where it does exist, hits upon that wall of the ‘Cyprus conflict’ that is best left to politicians and from which daily (political) lives are increasingly removed. Political subjectivity is thus constricted by policy and knowledge. The north of the island is a little known entity, outside the history of being rightfully ‘ours’. The political reality of those who live there is constructed through that vocabulary of schoolbooks: ‘invasion’, ‘occupation’, ‘coup’, ‘refugees’, ‘missing persons’, ‘enclaved people’, and ‘settlers’, and the inventories of loss (the missing, the dead, territory, property, production). And for those on the other side, the south is ‘ours’ selectively (as shown in recent debates over hydrocarbon resources off the southern coast). A settlement of the Cyprus problem would have to revisit not only that inventory but also all those physical, conceptual, and affective apparatuses that keep the conflict dis-integrated (in both senses of the word) from daily life and preserved in the realm of ceremony.